daredemo yoga is a peaceful and intimate space in which to promote harmony in the mind, body and spirit. We believe that yoga should be accessible to everyone, hence the name daredemo yoga - yoga for everyone. Our aim is to create a warm and supportive environment where the focus is on individual attention. We offer a daily schedule of yoga classes ranged from Restorative Yoga, Hatha Yoga to Vinyasa Flow. You are bound to find a class which suits your style. As a yoga teacher, I'm quite often asked by my students for advice about yoga mats. There are so many mats on the market and it is rather confusing which mat is right for us. Let's look at the price, for instance. You can spend anything around 1,000 yen to over 15,000 yen. 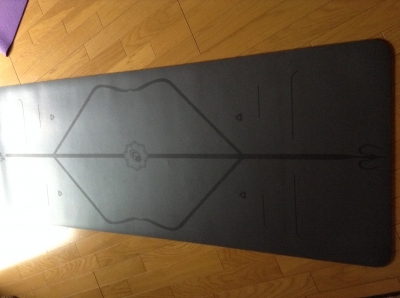 I even bought a mat that roughly cost mere 900 yen before. Obviously the price is not the only consideration, and how about the weight, length and the material? We might choose a mat on basis of ecological awareness as well. Anyway, up to now, every time my students asked for advice, my answer was always the same - look around on the internet to see if they could find something they like. This is because, to be honest, I didn't know which mat to recommend. My answer, however, will be different from now on, as I have recently discovered a brilliant mat while I was in London. It is called "Liforme Yoga Mat" and this mat is must have for all those who are looking for truly non slipping yoga mat. I love dynamic styles of yoga, but my sweaty hands always let me down, as my hands start sliding on the mat. It happens, especially, in Down Dog if I stay in the pose for any length of time. When it does, I have to come out of the pose and either cake my hands with chalk or, rather embarrassingly, wipe them down with the front of my yoga pants. The Liforme mat is truly amazing, though, as however much your hands sweat, miraculously you never lose grip on the mat. Another great thing about the mat is that there are several lines that stagistically marked on the surface. These lines are brilliant to check your alignment. Once I was in Down Dog and saw my hands were perfectly placed on each side of the vertical line of the mat. When I looked at my feet, oops, they were slightly off keel towards left. I wouldn't have noticed this misalignment if the line was't marked. With the price tag of £100, I have to admit it's rather expensive. It, however, is definitely worth every penny if you are like me - no more worrying about losing grips as well as having a perfect tool for correcting alignment. Liforme Mat is the best yoga mat ever! As your yoga practice becomes a regular fixture in your diary, some of you might start thinking about getting your own yoga mat. Well, some of my students have done exactly that. They brought their new shining yoga mats to classes last week. Actually, bringing your mat to classes is not unusual. 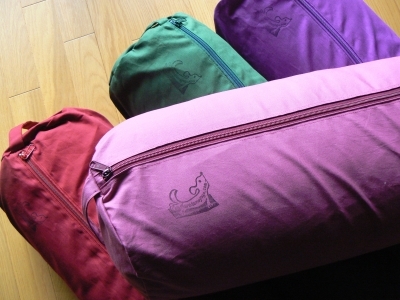 What impressed me, however, was that they made their own yoga mat bags! Their bags look absolutely gorgeous! 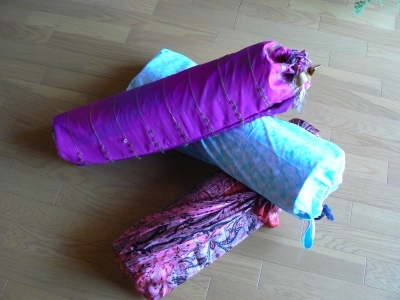 DIYボルスター再入荷！ - new stock for DIY bolsters! We are pleased to announce that new stock has just arrived! This time, we offer a choice of four different colours for outer covers, and they are cassis pink, raspberry red, royal purple and viridian green. 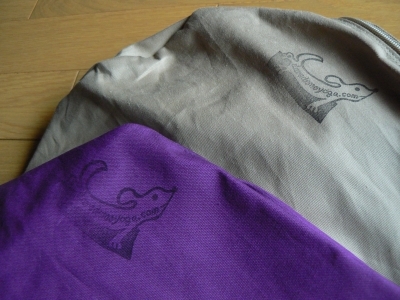 Once again, these covers are made of 100% cotton and come with a set of inner and outer covers. 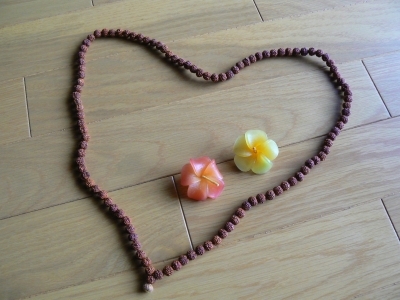 The price is unchanged, and it's still 3,500 yen plus p & p.
Please contact daredemoyoga for more information. 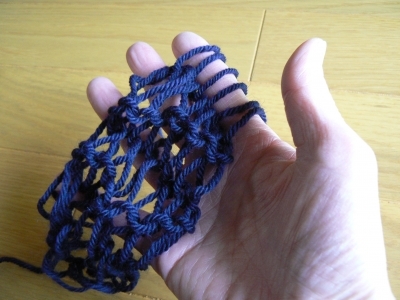 I attended a finger knitting lesson at Avril Shinsaibashi last Sunday. Yes, they run beginner and intermediate knitting lessons pretty frequently. Their lessons are open to everyone and even a complete beginner is welcome. These lessons offer an excellent opportunity to learn how to knit for someone like me who can’t quite work out the art of knitting by looking at books and YouTube videos. Anyway, the lesson was informative as well as fun. The teaching staff was very friendly and incredibly patient. I botched up many times during the lesson, but no matter how many times I asked for help, the help was given without any huff. A. You don't need any tools (obviously). B. You can knit more loosely than using knitting needles, and this makes the texture light and soft. C. It's sort of eco and organic! Now, I think I am ready to graduate from the scarf knitting stage and feel confident to move on to something else. So my next project will be a snood! 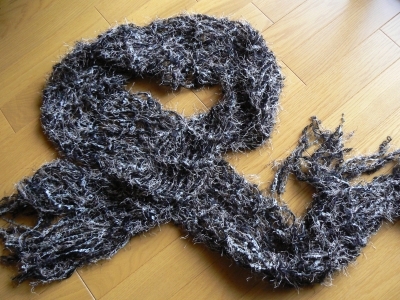 Snood is a tubular neck scarf (oops, another scarf! ), and it was all the rage this winter in Japan. I'll be making a shopping trip to Avril Shinsaibashi soon to get my hands on the gorgeous yarns again. 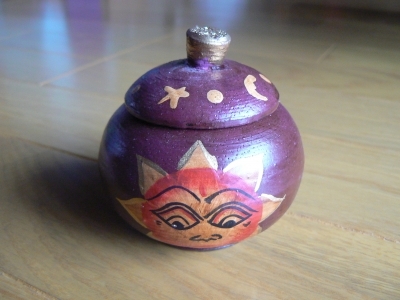 It means "the sweetness of doing nothing". I love this little Italian phrase. It sounds utterly delicious, doesn't it? Like scrumptious desserts that just melt in the mouth. I heard this phrase in the film version of "Eat Pray Love" that was released in Japan last autumn. "Eat Pray Love" is a best-selling memoir by American author Elizabeth Gilbert. In this hugely popular memoir, the author chronicled her year long trip to Italy, India and Indonesia where she sought and found pleasure, spirituality and balance respectively. I love the memoir, by the way. Incidentally, "dolce far niente" doesn't appear in the original memoir. "Bel far niente", the beauty of doing nothing, is the one used by the author there. Anyway, what do you think my "dolce far niente" moment would be? Well, I'd say, I'd be sitting in a cafe facing a busy street. I'd be watching people hurrying to and fro in the street while taking great pleasure in the knowledge that I wouldn’t have to be anywhere or do anything other than have a leisurely coffee and watch the outside world. Well, in another scenario, I'd be in a little fishing village somewhere in Greek Islands. I'd be having lunch in a little run down taverna, enjoying my Greek salad and calamari with a glass of vino. The sun would be shining and there'd be nice sea breeze ruffling a sun parasol above my head. I wouldn't have a care in the world. 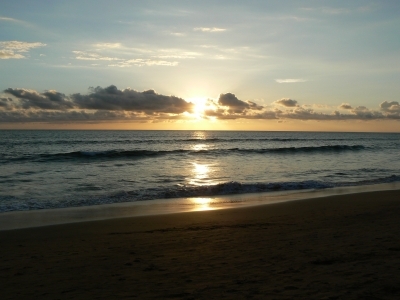 Or I could be in a deserted beach somewhere watching the sunset. There'd be nothing between the sky, the ocean and myself. There’d be no past, no future, just the present moment spreading in front of me. Well, all of the above scenarios remind me of one of my favourite songs by John Lennon, “Watching the Wheels”. The sweetness of doing nothing. The sweetness of letting it go.